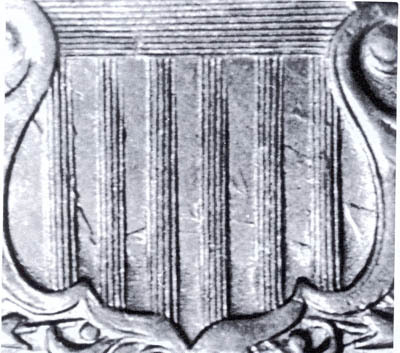 Strong clashed die shield nickels are uncommon. 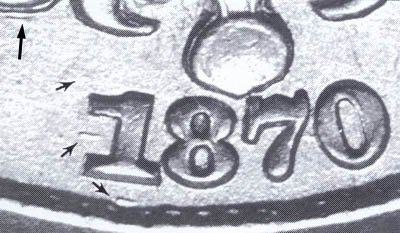 This 1870 distinguishes itself by having its obverse clashed with the obverse die from an Indian Head cent. Even for a shield nickel, this is bizarre. These photos are credited with thanks to Ed Fletcher's book "The Shield Five Cent Series". The original photography was done by Ken Hill. Just for good measure, this 1870 is a quadruple punched date as well. The crazy clash wasn't enough I guess.